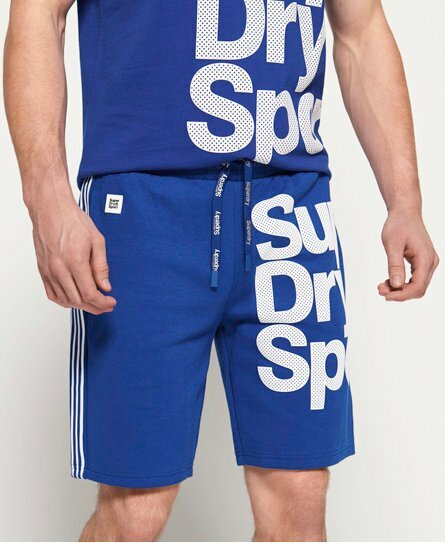 Superdry men's Combat sport shorts. These shorts are created using a lightweight fabric with four way stretch technology allowing the shorts to move with you as you workout. Featuring an elasticated drawstring waistband, two front pockets and a zip fastened pocket on the back. These shorts are finished with a Superdry graphic logo wrapped from front to back on one leg, striped detailing down one side and a rubber Superdry logo badge on the front pocket.